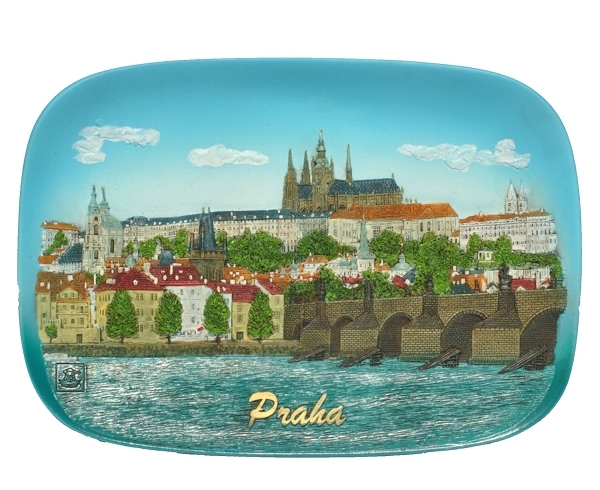 Ceramic embossed picture of the Prague skyline featuring Prague Castle, Lesser Town and Charles Bridge. 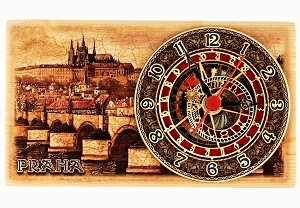 This is the most used picture of Prague, showing its core beauty of history, architecture and landscape. You can hang the picture on a wall the same way you would do it with regular paintings or photographs. Designed and made of non-glazed ceramic in the Czech Republic, hand painted. Elaborated in extremely high detail and fidelity to make as realistic impression as possible.